This cost-effective, full-featured machine eliminates the need to stop the press to remove rolls. The PS works great with pressure-sensitive label stock and many films as well as various papers and laminates. The small footprint allows for easy integration into any press. 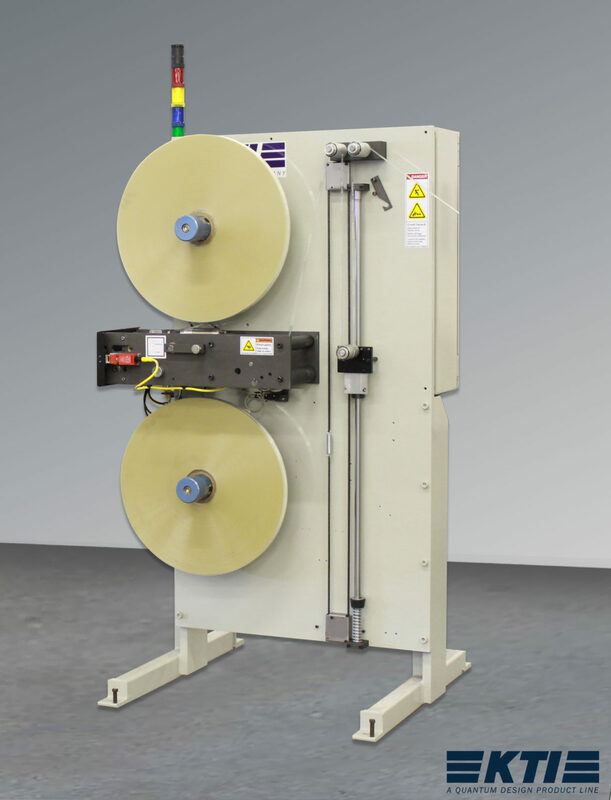 Designed to feed a continuous supply of window material into the process line. Option to install in-line or at a right angle with optional turnbar system. Works well with pressure sensitive label stock, many films and various papers and laminates.